Note: this post was originally published on BloggingSpell.com, we’ve since moved it over to it’s new home, here on Blogging Wizard. Triberr is a platform you can use to grow your audience, network with other bloggers and find great content to share with your readers. But who has the most reach on Triberr? And what can we learn from them? In this post, I’ve brought a bunch of Triberr pro’s together to share their top tips with you. These tips will help you put your content in front of the right people, giving them the option to share it. But first – what is Triberr? Triberr is a social network designed for bloggers. It’s based on the concepts of tribes and reciprocity. When you sign up, you’ll be able to search for ‘tribes’ that are relevant to your niche. You can then follow the tribe and request to be promoted to a full member. When you follow a tribe, you’ll see content from members of that tribe in your ‘Tribal Stream’ (think Facebook Newsfeed). You’ll then be able to share that content to your social networks. And when you’re promoted to full member your content will be put in front of other members of that tribe (and followers). So they’ve got the option to share it. The news gets better because a lot of folks that have been listed as top social media influencers by Forbes use Triberr. Awesome! So where does the concept of reciprocity come into play? 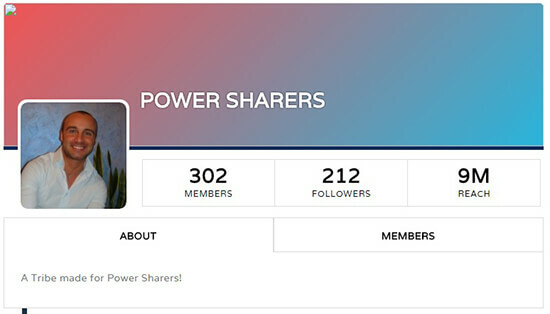 Sharing other people’s content is a requirement of membership for most active tribes. And when you share someone else’s post, your content will get an ‘affinity’ label and appear higher up their tribal stream. This means you’ll be more likely to get shares. Aside from the audience growth, traffic, and social sharing opportunities – Triberr is a great platform to network with other bloggers. What are your top tips for success on Triberr? Here are their answers, sorted by their reach on Triberr. Note: reach is the combined number of followers that everyone’s tribe-mates have. For example, if you were in two tribes and the number of combined Twitter followers in both tribes added up to 250,000 – that would be your reach. Create your own tribes of influencers. There are a lot of tribes on Triberr and sometimes that can be difficult to get in if they’ve reached their member limit. A great alternative is to create your own topically focused tribes and invite other influential users to join them. You can look through other tribes and find some great people to invite, but it’s worth checking if they’re active before inviting them. Triberr is an incredible tool for increasing web traffic and, more importantly, targeted web traffic. It’s one thing to get a 1000 visitors from around the world. It’s quite another thing to get 1000 visitors who are genuinely interested in the topic you’re discussing. So that brings me to my ‘top tip” when it comes to using Triberr. In order to get that high volume of targeted traffic you need to be diligent in your Tribe activity within Triberr. Let me explain what I mean by that. Within Triberr, you can create or join Tribes and connect with other bloggers. The more tribes you join, the more bloggers you can connect with. And the more closely aligned those tribes and bloggers are with what you’re writing about, the more closely aligned their respective audiences will be with you and your topics. For example, let’s suppose that you have a travel blog and are routinely writing about different places to go and things to do. Within Triberr, you can search for other tribes to join based on category, and you can specifically look for other tribes of travel bloggers. Each time, you can ask to join and become a member of the tribe, ensuring that whenever you publish a new blog post, all of the other tribe members, who are also travel bloggers, will see the post in their stream and consider sharing it to Twitter for you. Each of those bloggers has developed their own following on Twitter, whether large or small, comprised of people interested in reading travel-related articles and blog content. So your own content is likely a natural fit. Those are the tribes that you should be actively seeking out – tribes and other bloggers that are very similar to you and your blog in topic and content. The more closely aligned, the more likely it will be that your content will be relevant to their audience. I’ve joined many tribes with those topics, as well as more general Marketing and Business and Entrepreneur topics, as those are related and it’s likely they will have bloggers and audiences that may be interested in what I’m writing about. Since there are literally thousands upon thousands of tribes within Triberr, and more being created every day, this activity of seeking out new tribes to join should be part of a weekly routine. You might also give consideration to participating in tribe discussions, and making sure that you’re regularly sharing your tribemate’s posts yourself, so that you can develop stronger relationships with them and make it more likely that they’ll recognize you and be willing to share your material. Your tribes and your connections with other bloggers on Triberr are an integral part of your overall platform, and the activity is well worth your investment of time. New bloggers can now find easily find other skilled content marketers with Triberr. The followings tips will help you improve your blog’s success on Triberr. 1. Be Consistent: It is important to always have fresh content. The more consistent you are with posting and interacting with others, the more reliable you seem. Comment and share posts on regular basis. In order to keep a loyal group of followers it is especial that you keep up with content that will keep them entertained and coming back to your blog on a regular basis. 2. Comments: Commenting on your favorite posts and on the profiles of your favorite Triberr bloggers can help build strong friendships around you. Your conversations will be seen by your tribe mates on the right sidebar and encourage them to join in. These consistent conversations can help build what you will need for the next tip, a network. 3. Network: Now that you have read the two tips prior to this, it is now possible to build your Triberr network. It is in your best interest to find a tribe that interests you and is relevant to your expertise. It will then be easier for you to get along with other tribe mates and contribute to more conversations. Triberr is a powerful platform especially when you are planning to engage with influencers. Gone were the days where more membership will produce more traffic and engagement. So here’s what Triberr is all about. Engagement. For me, focus to be in groups that means the most to you. This means that you must be in those tribes which fits your niche. There is absolutely no use joining a tribe that works on different niches. If you are using the free account, your main focus is to share articles of those of related niche (make sure you link your social accounts to it). I love sharing articles from influencers as that help to build my relationship with them. Another trick to use Triberr is your stream. 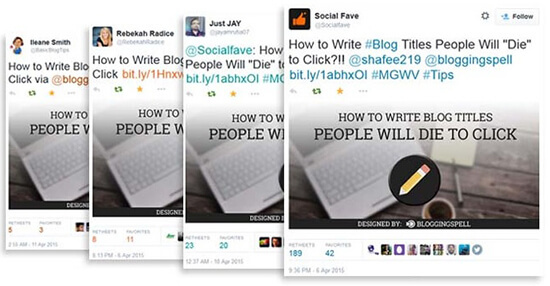 The latest person who share your articles would be at the top most of the queue. Therefore, make sure you doesn’t forget those guys below! My advice would be that you should focus on creating a catchy headline for your posts. Most people in your Tribes will share your content if they know you are a good writer and if you pair that with a creative and engaging headline. Everyone is smart and knows cliché marketing tactics so avoid them, be genuine and engage with other tribe members by commenting and promoting their posts on your social platforms. While you should be consistent and share posts that are editorial inline with the kinds of content you want to be known for curating, thinking a little outside the box keeps your sharing fresh. While I focus extensively on content and social (and other digital) marketing, I look to connect with bloggers who are complimentary and share their posts. For every 9+ shares I make I like to share a post on productivity, life-work balance, leadership, or even humor. Within reason, it’s good to mix it up a little to add depth to your curated shares. Triberr, unlike other platforms is not just about connecting with people; but means a lot more when we talk about marketing. Being an online marketer and the co-founder of a branding start-up I cannot ignore Triberr in any way. At Triberr you get to share the content that you like with your community as a whole. And the same goes with people who like to share your content. It actually makes the process easy, so that we can reach more people and save resources at the same time. And that’s what I like the most about Triberr. With the help of Triberr I’ve been able to make a reach of 120M+ audience, which means that at any point of time my content can be seen by that many people. Of course it will depend on the type of content, how many times it has been shared and how well the content has been presented. But the fact that I’ve a way to reach such a large audience without investing much on advertising makes Triberr a great platform. Triberr has helped me to meet people from different blogging and marketing backgrounds. And that has always helped me to build long-term relations and work in collaboration. I’ve worked with companies like BitDefender, WebHostingBuzz and IOBIT. From my experience I can clearly say that if you can help someone in branding or selling their stuff then they will surely work with you. It’s all about mutual benefit and the techniques that you apply to carry out different kinds of marketing campaigns. If I talk about skills and techniques then yes, proper marketing skills can be developed over time but proper channels to push the content that your create is always required. And here Triberr comes in to action for the marketers. Marketing is all about branding and making profit. And Triberr helps to a much extent. Even for bloggers, Triberr can be a great platform to share their content and reach new audience in order to build a reader’s base. I’m currently working on a sports blog called MySports.Today with a colleague; and Triberr has already started contributing towards its growth. It has been a month since we have been working on the site and the stats are already blowing our minds. All I’ve to say is that if you’re a blogger or an online marketer then you should surely try out Triberr. It can be your next big marketing tool. And don’t miss out the ‘campaigns‘ page on Triberr. You may get a chance to collaborate and work with some of the companies who are running their campaigns over there. Give with the intention to help others, not with the intention for people to share your content. If you want to have your content shared, then focus on amazing good content. Do not share other people’s content only with an intention to have your content shared. Although many people use Triberr this way, I recommend you choose a different mindset. When choosing what content you will share instead think, “how can I find and share the best content possible that my audience will love and devour?” Check all links and content before sharing to confirm the source is good and that it is content you want to share with your audience. Be open to the perspectives of others and share content even if the view or opinion is different than your own. One of the greatest benefits of Triberr for me has been reading / learning new perspectives and opinions my mind to different thinking. #1 Produce great content that is authentically you, passionate and real. Listen to your audience and evolve as you move forward. #2 Aggressively grow your Twitter following… the and more connected and influential it is, the more people will want to have you in their tribes. #3 Share others content so they will share yours. 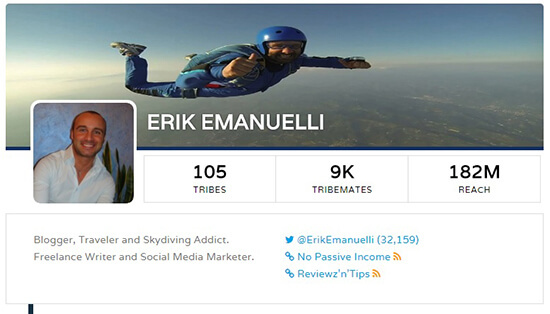 My best advice is to share quality content from Triberr, whether or not your tribemates share your articles. I hear many people say they won’t share articles from others who don’t share their articles. The way I see it is that Triberr gives you a steady stream of articles to share. If you have talented, prolific tribemates your Triberr stream is filled with articles for you to share every day. By sharing these articles you will build your Twitter followers, engaging on both Twitter and Triberr. Your Twitter followers will appreciate the content you share and your tribemates will appreciate you sharing their content. If you only share the articles of those who share your content, then you may be missing out on sharing some quality content your Twitter followers will discover through someone else. And by not sharing that content, the author may see you as someone who doesn’t share his/her work. Someone has to start sharing first and if you wait for someone else to share first, well then maybe no one will start sharing your articles because you’re not sharing theirs. This non-sharing can quickly become circular and self-defeating. So remember that Triberr is about sharing and your true goal should be enriching your Twitter sharing and growing your followers, making you more valuable both on Twitter, Triberr and your own website. I’ve been an early user of Triberr, and very satisfied with the results being active since then. First, you need to understand it’s a social platform, so you don’t want to look for easy shares of your content, but for building connections and amplify your audience. I’m a member of 71 tribes, with 5k tribe mates and a reach of 104 million. This was possible just from being active during the latest 3 years, sharing the interesting and relevant posts of other people and engaging leaving comments both at their blogs and on Triberr. It has 306 members (sorry, I can’t invite more people, as the tribe reached its max number allowed), plus 184 followers with a total of 7 million reach. I suggest creating your own tribe and start inviting popular bloggers you have a connection with, in order to build your presence there. Also, you can look after more tribes to request to be invited to, by contacting directly the chief or by leaving a message in the “bonfires” section. For more tips, please check the guide written on my blog. It’s quite dated but still effective. Be Social, Be Real, Be Yourself! Share awesome content – If you want to generate more shares, you need to write catchy headlines, and high quality content. And Include Images – Posts with images tend to do really well, so make sure to include a relevant image in the post. Pay $5 – It only costs five bucks to get your post on the top of the stream. Though, you should only do this for really awesome posts / guides. Most people don’t realize that Triberr has something called the Affinity Algorithm. Which means that every time you share my post, you’re showing affinity for me and my content. Triberr then takes your post and gives me an opportunity to reciprocate by placing your latest post on top of my stream. Triberr has a Promoted Posts feature which does the same thing without the need to show affinity first, but anyone can get this function for free if you share posts by written by people who’s content you love the day or two before you publish your own content. You share, the Affinity Algorithm does the rest. 1. Follow as many tribes in your niche as possible. 2. Ask for some invites. Be sure they are in your niche – very important. 3. Share others posts! Do check out what you are sharing if you are familiar with the blogger. 4. Log in daily – Don’t just go into Tribber just weekly. If not daily, every other day at the least. 5. Don’t be in tribes if they are not in your niche. 7. Make a Twitter list of your fav Triberr mates – give extra shares to those that particpate the most. 8. Promote your content for as little as $5, you will see more activity with this one! 9. Check to see if your tribemates in your tribe are active, if not you can unactivate them. I would say if they haven’t been active in 4+ months time to let them go. 10. Go premium – $10 per month to have 50 members per tribe and start 7 of your own tribes. Like any community – you have to be active, take time, have patience and then you will then see good if not great results!! Triberr is a great tool not only for sharing diverse content that helps your fellow bloggers, it’s also a great networking tool. Dino Dogan and Dan Cristo have grown the community tremendously in the last 3 years or so through networking, and supporting their community. Triberr members who do the same, will also reap the benefits. You can start by leaving comments in Triberr on posts and getting to know people that way. Over time, you can connect on their blog, on Twitter and in Facebook groups, but it all starts with getting to know your fellow tribemates. Triberr is, at it’s core — all about building relationships. Before you randomly hop into Triberr, be strategic and do your homework. Research existing Tribes and identify which ones share content similar to your own. This is a critical first step. You’re making a commitment to this group and you don’t want to become a member if you can’t add value. Once you find a few Tribes you like, start commenting and sharing other Tribe members content. Put your best foot forward by showing them that you’re committed to playing an active role in the Tribe. The best way to gain influence on Triberr is to be useful and helpful to others at the outset. Actively participate in tribes that are relevant to your content, and start talking like a real person to real people. Never act like a business, always act like a user. After making meaningful connections with other users, build your own tribe and invite them. Then ask to join their tribes. They’ll accept you now, but wouldn’t have before. Start small to grow big. Add new friends to your tribes, one at a time. After your reach and influence grows, you’ll attract more tribe invites and you’ll be able to join more tribes with ‘member’ status so that you appear in their feed. Use the power of compounding to grow your visibility on Triberr. Share your Tribe-mate’s content aggressively. Comment on posts – on Triberr and on blogs – but simply sharing Tribe-mate’s content is the easiest way to expand your reach, to make friends and to build unending bonds that prosper you and that improve your visibility on the platform. The first tips I want to share is set up your RSS feeds correctly to make sure the right blog is connected to the right tribe. Check your Account settings and go to the My Blogs tab – and remember that every time your join a new tribe, you must check your settings. Although I am not a marketer, but I sure am an active Triberr user with nearly 6K Tribesmate and being a part of 129 Tribes- reaching nearly 76M people, it couldn’t get better! So, my approach to using Triberr is what I can share with you – as these tips have worked for me. – Use images along with your posts, they do catch the eye! 1. Join all relevant tribes you can and create a few of your own. That’s a no-brainer. The more tribes you join – the bigger your reach will be. It takes a lot of time to pick relevant tribes and reach out to their chiefs to make you a full member, but I’m afraid there’s no other way around. If you look at my own profile (http://triberr.com/timsoulo) – I’m a member of 86 tribes, and I had to hustle a lot to join them. I use the paid promotion feature on EVERY single article that I publish at Triberr. If you hesitate to spend $5 to get your article noticed – then your article is simply not good enough. Delete it and write something meaningful that you’ll be happy to promote. Actually I think that Triberr should be a paid thing in it’s core. If people had to pay $5 for posting an article at Triberr – that would immediately eliminate all vague content that they dare to put there now. Triberr is a great way to get your content shared and make connections with fellow bloggers in your niche. But you also have to be careful and focused when you first start out on this platform. 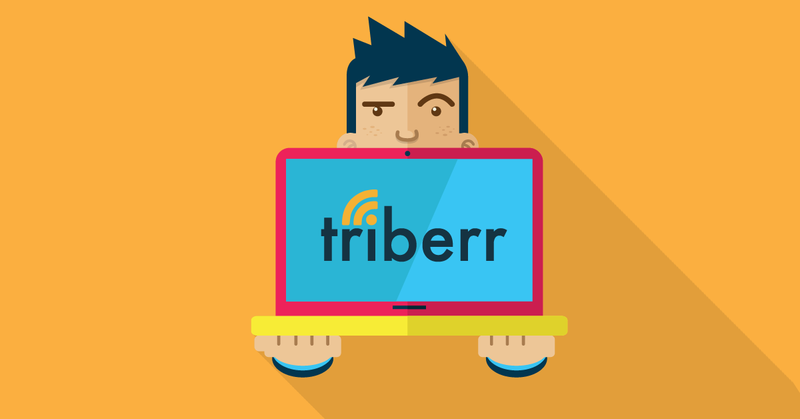 I recommend all new and experienced bloggers use Triberr, but the main trick is in finding relevant Tribes to join. There are two main ways to do this. The first is to post in the Triberr Bonfires forum (read more on that here) asking if anyone is accepting tribemates in your niche. This is especially useful for newbies, who perhaps do not know many people or have a lot of followers on social media. The other way to get involved in tribes is to connect with people on Twitter and approach them personally on the tribe itself. You can ask someone to join their tribe even if you don’t know them, but the chances are low that it will work. So get to know people first and then ask. Not only will this work better, but you will make a new friend and connection at the same time. Win-win! Then as you become more well known, and helpful (by sharing people’s posts) you will eventually just get asked to join new tribes. That takes a while, but will eventually happen. My tip to get the most out of Triberr is to create optimized tribes for sharing. It’s not about the reach or the number of users a tribe has. You can have over 100 users and over 3 Million in reach, but if no one shares your content there is no point being part of the tribe. While many bloggers and so-called influencers exploit the system by only publishing their content and not sharing its becoming more and more clear that we need to optimize our tribes for best results. In order to achieve this, monitor the current activities around the tribes you are part of for 3 months. Pick out all the users who share your content regularly. Create a new tribe and invite them all. Ensure the rules are laid out clearly and keep the tribe motivated. This system will allow you to get the most out of Triberr without feeling being exploited. 1st – Don’t let it consume your time. It’s true that you need to put in the work but limit your time there. In a week, limit to x hours and don’t go over that. Within those hours, share and comment straight so you are focused on your task. The time you free up (WHICH IS A LOT) is better utilized to create content. 2nd – Start a Tribe and be active there. Be sure to set the rules. Protect it like your family. Do not let anybody unrelared to the tribe topic in, nor should you promote someone not worthy to be a member status. Prune the the member list if someone isn’t active for a couple months. 3rd – Remove those “autopost” tribes. Do not allow people to autopost on your social channels. Engage with tribes relevant to your business and build relationships in and outside of Triberr with your tribes. If you share other people’s content in the tribe (good quality content) and build relationships you’ll be successful on Triberr. Create your own tribe of influencers. Encourage everyone in your tribe(s) to share each others content. Engage in tribes that are relevant to your niche. Create engaging headlines for your blog posts (this will benefit you outside of Triberr too). Keep your focus on helping others, rather than getting more shares – you get what you give. Engage with your tribe mates inside and outside of Triberr – share, comment and connect. Regularly share content from other bloggers in your tribe(s). Take part in Triberr ‘campaign’s to earn cash for writing about brands. Promote your post for $5 – this will put it at the top of other people’s tribal stream. Go premium for $10/month to have 50 members per tribe and start up to 7 tribes of your own. Before joining tribes, prove that you’re committed to being an active member by sharing content from each tribe. Join as many relevant tribes as possible. Avoid setting up auto share for any of your tribe mates. Sharing other people’s content means they’ll see your content higher up in their tribal stream (marked with ‘Affinity’). Set a regular time in your calendar to ensure you’re regularly sharing other people’s content. If you have multiple blogs, you can choose which blog’s content is sent to specific tribes. Visit the blogs of your tribe mates and get to know them better. Post on Triberr’s forum (called Bonfires) asking if anyone has a relevant tribe you can join. We’ve discussed plenty of tips that will help you get the most out of Triberr. Sign up for an account, explore the platform and start putting into practice what you learned in this post.